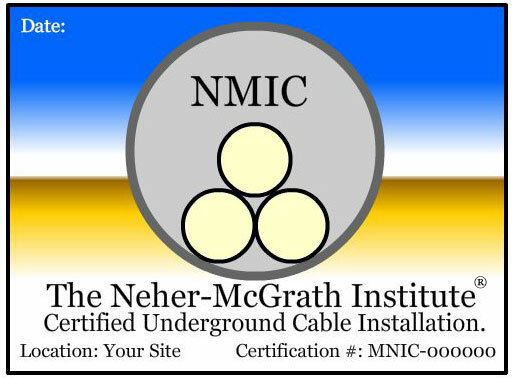 Neher-McGrath Institute Certifications - Registered Professional Engineer to certify your underground electrical system in any state. The Following Projects have earned the NMIC Stamp. NMIN-0001 Internet Corporation, Virginia, Containerized Data Center. NMIN-0002 Internet Corporation, Virginia, Containerized Data Center. NMIN-0004 Internet Corporation, California, Data Center. NMIN-0005 Large Software Corporation , Redmond Washington. NMIN-0007 Internet Corporation, Arizona, Data Center. NMIN-0009 Solar Utility Company, East Coast.